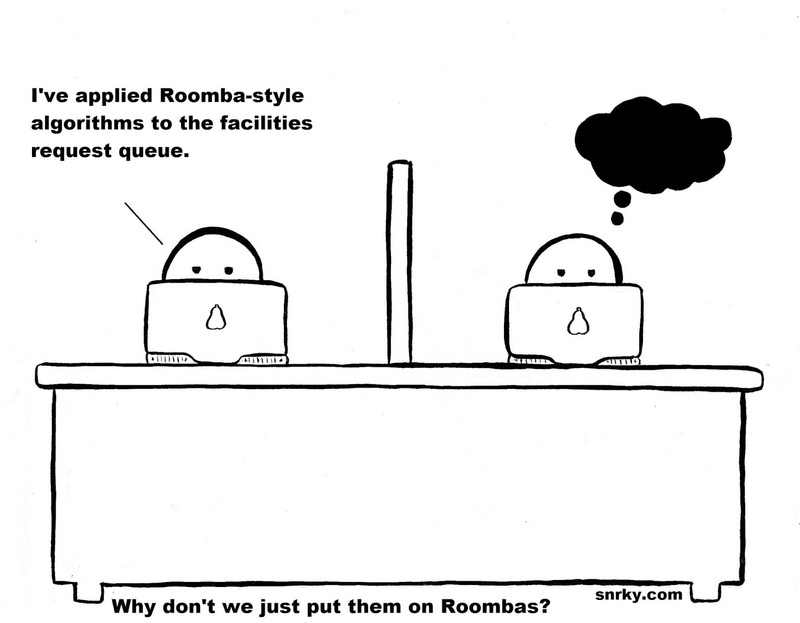 Snrky: Why don't we just put them on Roombas? Why don't we just put them on Roombas? Snarky: I've applied Roomba-style algorithms to the facilities request queue. Title: Why don't we just put them on Roombas?